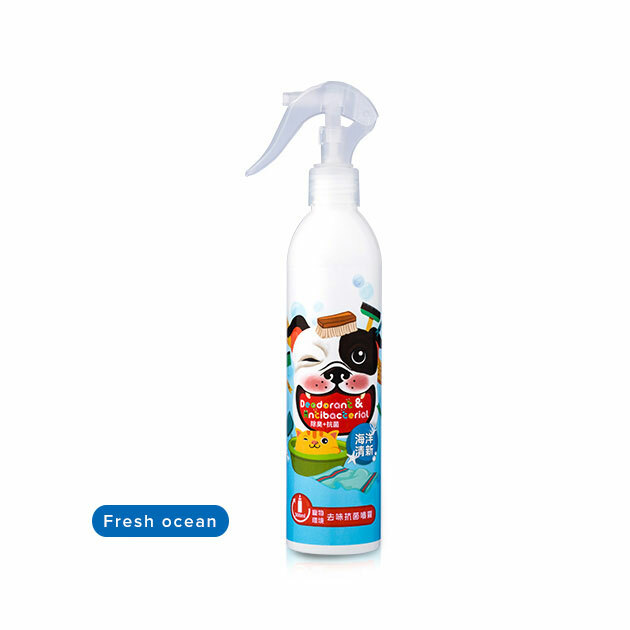 Break down and remove various annoying foul smells immediately, and the antibacterial elements can rapidly hinder the generation of pathogenic bacteria in the environment, purify the environment, protect pets and family members. Instructions：This specially formulated cleaning solution has extensive usage and can be used for pet excrement, pet bedpan, cat litter, diaper pad, sleep pad, toy, furniture, floor and all indoor spaces. It can also remove smoke and foul smell in the air, purify indoor and public toilets and seat pads and make antibacterial and smell dispelling for urinals. Please keep target a distance of 20-30cm to the spraying head and spray evenly. Wait 30 seconds, use a clean cloth to wipe clean and let air dry without additional cleaning with clean water.